Fill out a housing/new student questionnaire by logging into your Scholar account. The form can be found under the New Student Tab/Residence Life. Student’s must submit Health form and Immunization records first before having access to the housing/new student questionnaire. Housing/health and immunizations forms must be verified by our School nurse before access is granted. Those who wish to reside off campus must fill out a Commuter Application and provide documentation. This form can be accessed within Scholar as well under the New Student Tab/Residence Life. The deadline for fall housing applications is August 24th,2018. Keep in mind that all returning students receive priority housing. With rising enrollment in past years, there has been an increased demand for residence hall rooms and space is limited. NO STUDENT WILL BE ALLOWED TO RECEIVE THEIR ROOM KEY UNLESS CLEARED BY THE BUSINESS AND FINANCIAL AID OFFICES. New student housing assignments are given daily will update in your Scholar account under the students tab. Returning students who are still in need of housing for the fall, please contact our office as soon as possible. If you are unsure you are approved to check-in on a certain date, please feel free to contact our office. Step out of your comfort zone. Remember that all freshman are new, not just you. Dive in and don’t be shy! Most of your classmates and hallmates won’t bite. Don’t be afraid to ask others about themselves. Also, get to know the Peer Mentors and resident assistants because they’ll help you make the most of your freshman experience. All residence halls are secured with security doors with locks. All rooms have individual heating and air-conditioning units. Basic cable hook-up and internet access are provided in each room. Each room contains a twin size bed, desk, and dresser (with the exception of Roberts). Most of the beds can be bunked. The Office of Residence Life does not provide chairs. 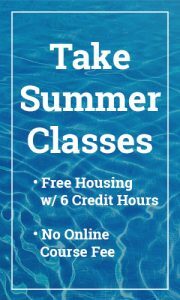 Who should I contact if I want more information on housing issues at Shorter? Questions about living on campus should be directed to the Office of Residence Life at 706-233-7315.